A new research article published today in the Proceedings of the National Academy of Sciences analyzes the positive impact of long-term nutrient reductions on an important and valuable ecosystem in the Chesapeake Bay. Scientists indicate the resurgence of underwater grasses supports nutrient reductions from EPA's Total Maximum Daily Load (TMDL) along with conservation incentives have resulted in a healthier Chesapeake Bay. Jonathan Lefcheck, PhD, formerly of the Virginia Institute of Marine Science and now at the Bigelow Laboratory for Ocean Science, along with 13 co-authors, show that a 23 percent reduction of average nitrogen levels in the Bay and an eight percent reduction of average phosphorus levels have resulted in a four-fold increase in abundance of Submerged Aquatic Vegetation (SAV) in the Chesapeake Bay. This ecosystem recovery is an unprecedented event; based on the breadth of data available and a sophisticated data analysis, this is the biggest resurgence of underwater grasses ever recorded in the world. "It's a humbling and unique opportunity," said lead author Lefcheck. "These efforts began before I was even born, but we are at a stage now where all of these different threads can be pulled together to unveil a picture of unprecedented success. This is a message of hope, and I look forward to a future when the Bay is filled with grasses, something I never thought I would see during my lifetime." These findings are a collaborative effort between: Virginia Institute of Marine Science, University of Maryland Center for Environmental Science, Environmental Protection Agency Chesapeake Bay Program, U.S. Geological Survey, National Socio-Environmental Synthesis Center, St. Mary's College of Maryland, Smithsonian Environmental Research Center, Maryland Department of Natural Resources, and Texas A&M University-Corpus Christi. Dr. William Dennison of UMCES and Dr. Robert "JJ" Orth of VIMS at the College of William and Mary are senior co-authors and have worked on underwater grasses and water quality reporting for Bay ecosystem restoration over decades. Dr. Dennison is the recipient of the first Margaret A. Davidson Award for Stewardship from the Coastal Estuarine Research Federation (CERF) and Dr. Orth received the outstanding scientist of Virginia award March 1 from Governor Ralph Northam. "J.J. and I have had the distinct privilege of facilitating research that confirms a direct correlation between conservation actions undertaken by a broad partnership and ecosystem responsiveness that is leading to positive ecological outcomes." said Dennison. 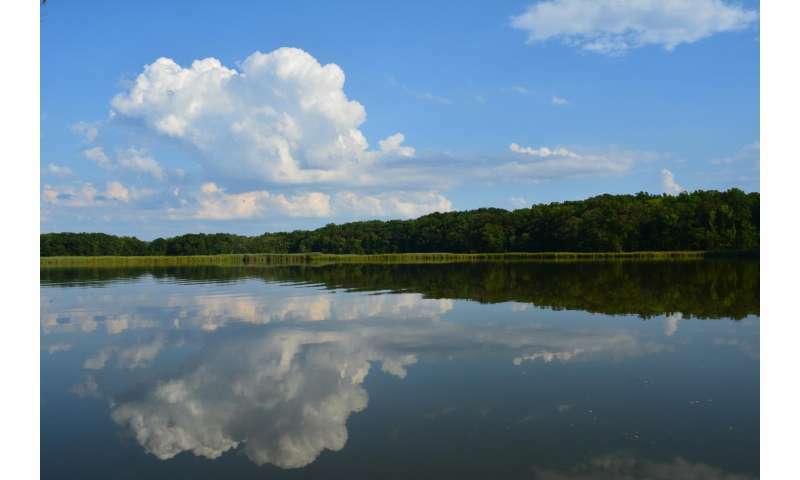 "The EPA Chesapeake Bay Program is working and can serve as a model for the rest of the world." Orth noted: "I am proud of our team of young and experienced researchers who worked in a collaborative environment to produce these exciting results. I really feel the torch is being passed to a next generation of scientists who bring both the passion and knowledge needed to continue the vital work of marine science required to keep our Chesapeake Bay flourishing. What has been a lifetime of work for Bill and me can now be analyzed and managed with analyses of long term data sets in creative ways to highlight this wonderful recovery." Glad to hear it! Now there's some real environmental activity worthy of the name. We've come a long way towards rectifying some of the very bad things we did up into the 70's. Every year more and more of the country is getting cleaned up. Thanks to all who worked towards that goal.